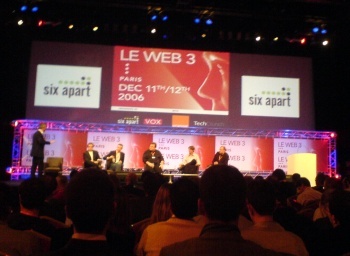 Since the 2nd day of LeWeb3 the hottest discussion topic is how French politicians, invited by Loic, hijacked the conference. I see that over 9 out of 10 attendees didn't like that. First of all, what should we have done? During French politicians speeches the room was half empty when it should have been 90% empty... How is it possible the top technologists to be unable to communicate, when they have all the communication tools available? - Most of the participants had their laptops with them and the Wi-Fi was working quite well the second day, so they were online. - There was a backstage irc channel. - There was a wiki. - There was a google group. - There was the blogosphere. - Instant messengers and emails could also have been used. And there was plenty of time to communicate such a message between the visits of the two politicians. Isn't it a paradox? 6) The live comments at the IRC backstage channel that worked the second day. 5) The 40 minutes we had to wait to get our coats after the party. 1) The French politicians who used our event for their campaigns. Overall it was a GREAT way to begin my week and I'm glad I was there! We're on the second day of Leweb3 here in Paris. Since the warm-up meetups on Sunday, one of the hottest discussions is the comparison of being a startup company in Silicon Valley and Europe. I've heard some negative comments for Europe like "Americans view Europe as a small market without innovation and they can always acquire if needed". One thing everyone agrees is that one of the big advantages of Silicon Valley is that a whole innovative community is concentrated in a one hour drive radius. Smart entrepreneurs, developers, angels, VCs, universities and tech journalists. As you go to Hollywood to make movies, as you go to New York or London for stocks, you go to Silicon Valley to make innovative software. I believe that this is by far the most important advantage of Silicon Valley compared to Europe. I've met smart guys from both sides of the Atlantic. I don't see any signs that Americans are smarter than Europeans. They might be more entrepreneurial, but Europeans have other qualities. 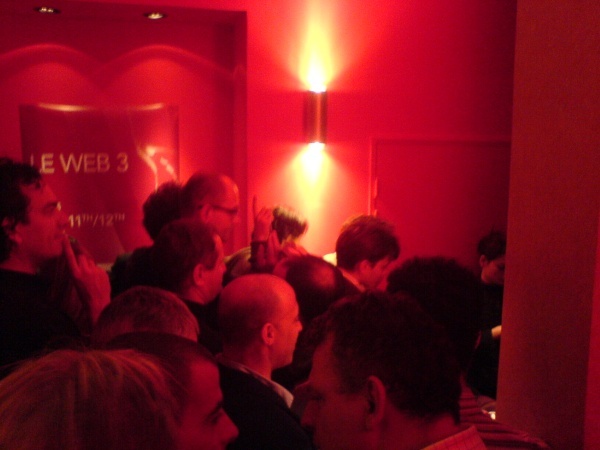 For example they speak at least 2-3 languages and better understand the international aspect of the web. Especially those of us who don't come from Germany, UK or France, but from a small market, we're forced to look abroad right from the beginning if we want to do something significant. Well, if we all agree, why not to build the European Silicon Valley? And I don't mean to expect from EU bureaucrats to build one for us, because it will take a century... If this project was ever to become reality and I had a chance to propose a place, that would be in Mediterranean of course, and specifically Crete Island in Greece. I was at the European Parliament the previous week for the annual summit of European young entrepreneurs (YES for Europe). I found the most interesting presentation to be Mr Horst Soboll's, Chairman of the European Research Advisory Board of the European Commission. The strongest point he made was that Europe has serious problems transforming knowledge successfully into commercial viable products and services. Europe's share of world scientific publications is 38.3% compared to 31.1% of US. On the other hand, Europe's share of world triadic patents is 31.5% compared to 34.3% of US. And Europe's share of world high tech exports is 16.7% compared to 20.0% of US. What's happening? We haveÂ a paradox here. It seems that in Europe we're more interested in acquiring more knowledge than transforming it to products. Well, maybe this paradox has its roots in schools, where teachers ask students to go find information rather than try to use the information. What's the meaning of asking students to collect information about a subject? Wake up! Students know how to use internet better than teachers to find any information. It's how to use the information that is important.